beautiful Ireland which I never thought I would ever visit." This morning after breakfast there will be a group transport to the Dublin airport to catch your flights home. *The exact time and location of the official tour start will be announced closer to travel time. 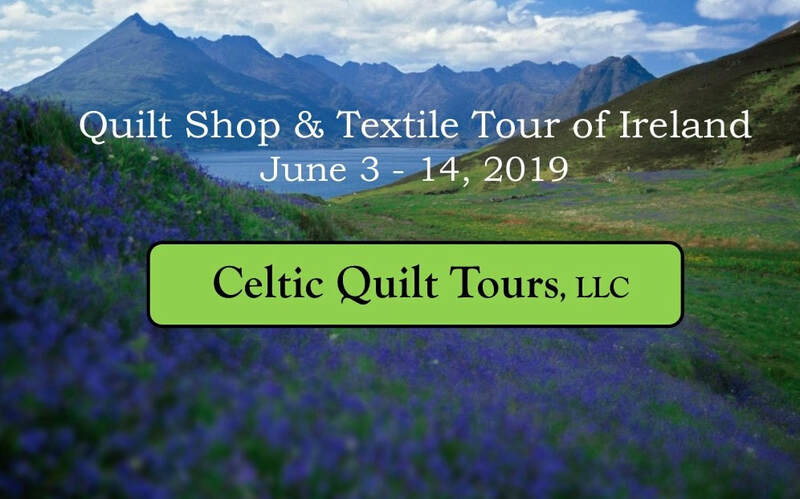 If you choose to arrive into Dublin ahead of the tour start (highly recommended), Celtic Quilt Tours would be happy to assist you with hotel accommodation for a pre-tour stay. ​"Excellent communication on all levels! I enjoyed the newsletters with information coming at intervals rather than all at once. Knowing Kim and Debbi's contact info gave me peace of mind if anything went wrong. I liked the idea of putting our hotel info on the back of our name tags."